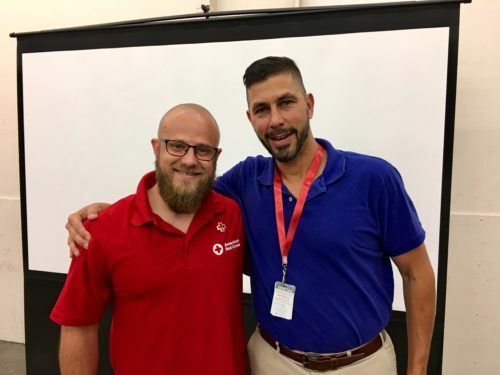 Ted Horton-Billard is deaf, an Americorps Member with the Red Cross in Los Angeles and a graduate student pursuing a Master’s Degree is Public Administration (MPA). Recently, he spoke with LA Talks about the obstacles he’s overcome to get to where he is today, and his big plans for the future. 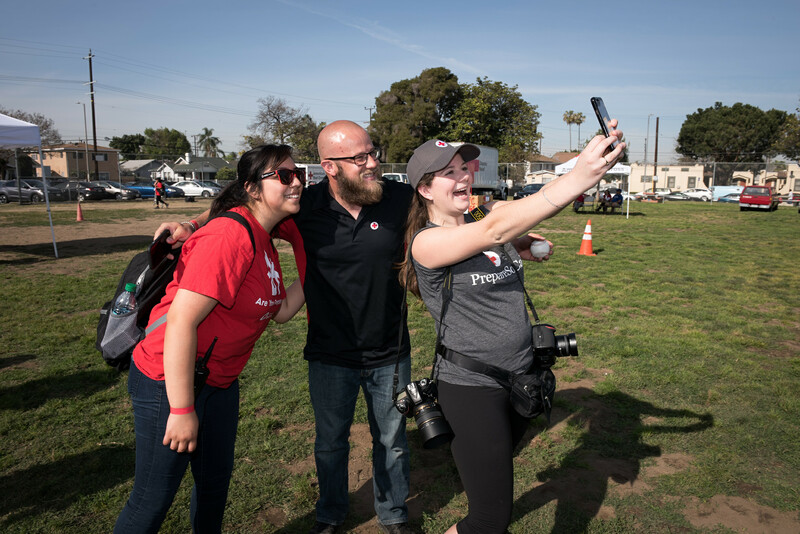 Why did you want to join the Red Cross in Los Angeles as an Americorps Member? Growing up, I’ve always wanted to join the military. I come from a military family. Due to physical limitations, my deafness, I couldn’t join. I couldn’t become a police officer. I couldn’t even become a firefighter. It was all because of my disability, and it was a lost cause for me. For a long time, I’ve always wanted to do something to help—it’s just in my blood. When I saw the AmeriCorps opportunity with American Red Cross, I knew it would be a win-win. Even though each organization has its own mission, both believe in helping people. I decided to join the Red Cross in Los Angeles as an AmeriCorps Member because it is a solidary movement and I want to make positive changes. Taking time out for a selfie, with fellow Americorps Members, at a Sound the Alarm event, in May. What were your goals coming in? My goals were to learn more about people with disabilities or access and functional needs (DAFN), and how we, at the Red Cross, can best accommodate our clients’ needs. When I started working, I found out that they could learn a lot about the deaf and hard of hearing community— so I knew I could help them, as well. I decided to not only learn from them, but to also work with them on ways to improve services for our clients. How have your own life experiences helped to guide you toward wanting to help others? I had a lot of help when I was a kid, so I’ve always wanted to give back to the community. I mean, if it wasn’t for my family, teachers and friends, I wouldn’t be here. I feel like I owe them everything. 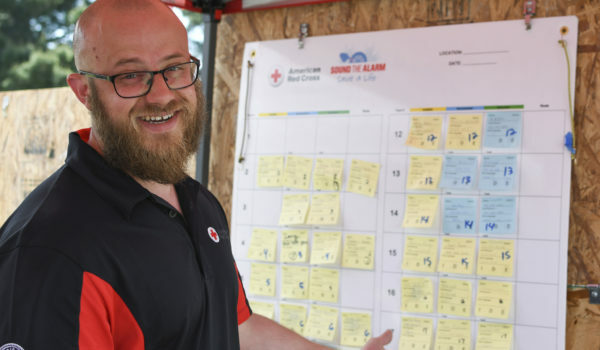 With just over two months left in your term, what has been your most memorable moment working with the Red Cross? With Los Angeles Region CEO, Jarrett Barrios, accepting his Employee of the Quarter Award. Last week, I was honored as Employee of the Quarter. The moment they announced my name, all my AmeriCorps and Red Cross colleagues cheered for me by raising their arms in the air and shaking their hands in excitement. When my colleagues do things like that, I don’t feel excluded. I feel like I’m part of their family and they are part of mine. Looking now beyond your Americorps term, what are your career goals? Hopefully, in 10 years, I want to have my own elementary school. I know this is a big dream but, I am going to try. The reason I want to have my own elementary school is that I did not learn how to read or write until I was 15 years old. Like I mentioned, I had a lot of help when I was a kid, and I couldn’t have gotten this far without my family and teachers. I believe in our future deaf and hard of hearing children. They have the potential to do an even better job, than we do today. Don’t be afraid to work with deaf people. We may be different, but we are still humans. Adding diversity provides all employees the opportunity to work on effective communication and cooperation skills—all while challenging people to explore new perspectives. Due to their background, the life experiences of deaf people are inevitably different than those of hearing people. Because of this, deaf people bring a unique perspective to every organization. They often suggest services and features, or come up with ideas that hearing people would have never even considered. Deaf people are very talented at bridging communication and cultural gaps in everyday situations. Take the opportunity to work with deaf people, and they will bring you good fortune.